I’ve been working on my recipes and with winter coming up, I had a craving for some chili! 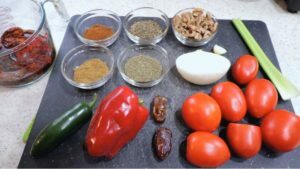 After several versions, I’ve come up with my favorite raw vegan chili recipe and I want you to have it! 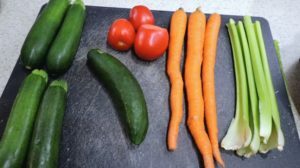 The more meals we can make raw vegan that remind us of those traditional meals we love, the more likely we will be able to stick to our healthy eating plan! 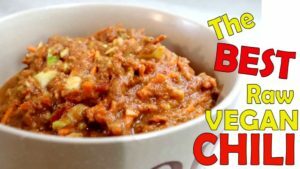 Try out this raw vegan chili recipe and let me know what you think! Combine in a large mixing or serving bowl. Blend everything until smooth and then combine with chunky ingredients.